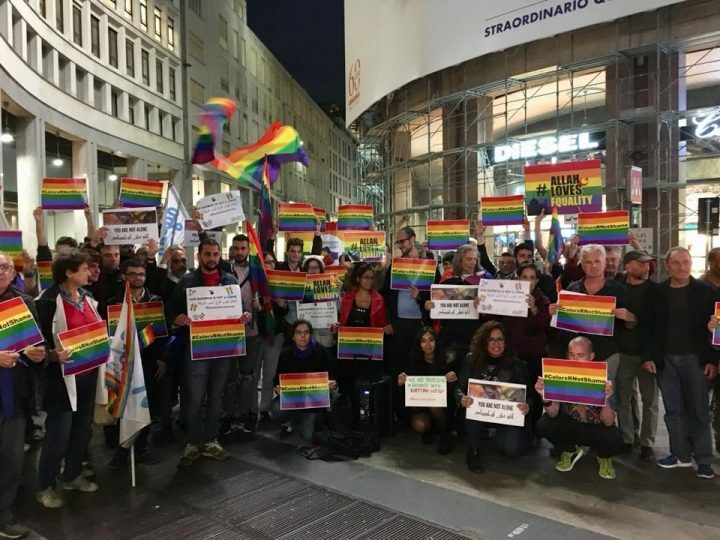 On Wednesday October 18, approximately 60 people gathered in Milan’s central San Babila Square for a demonstration of solidarity organized by Il Grande Colibrì and Coordinamento Arcobaleno. 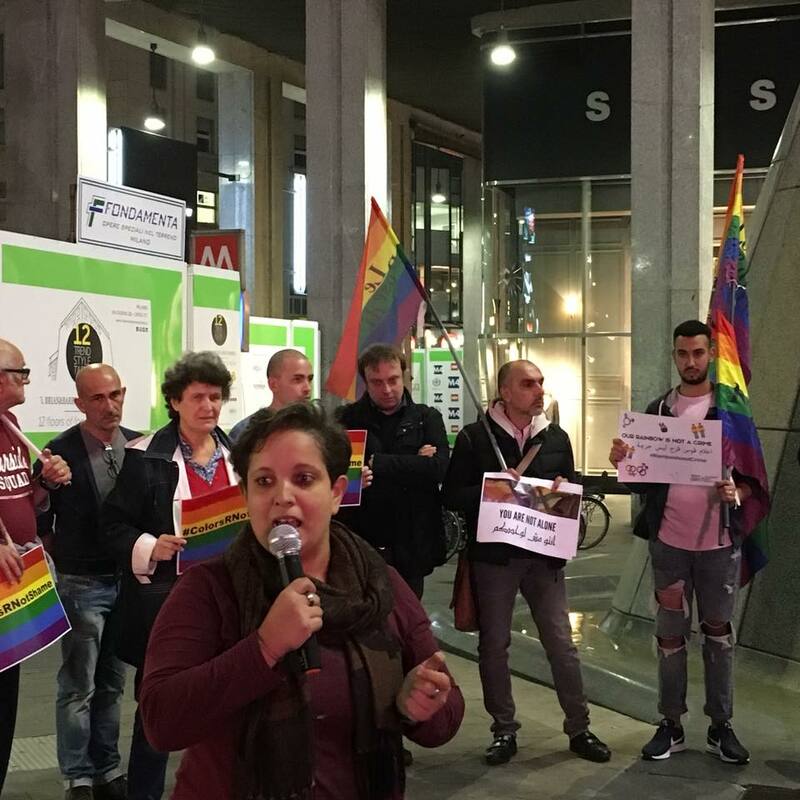 They denounced the Egyptian authorities’ current persecution of sexual minorities and Italy’s sales of arms to the North African country. Speakers included Mauro Pirovano and Leonardo Meda from Coordinamento, Ileana Minoia from Agedo, volunteer Amani Zreba and Pier Cesare Notaro, president of Il Grande Colibrì. 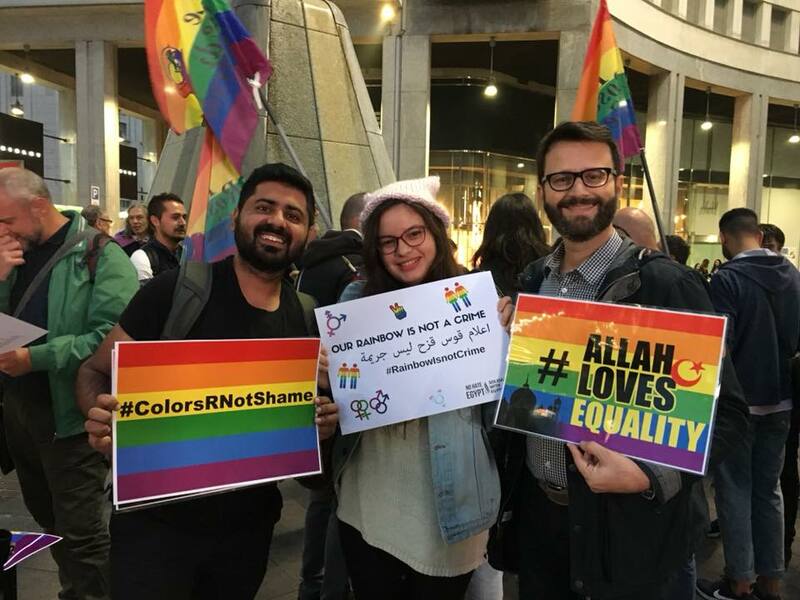 In recent weeks, 57 members of the LGBTQAI community have been arrested in Egypt. Nine of them have been given jail sentences, 35 are currently being tried, 2 under investigation and 11 are missing. 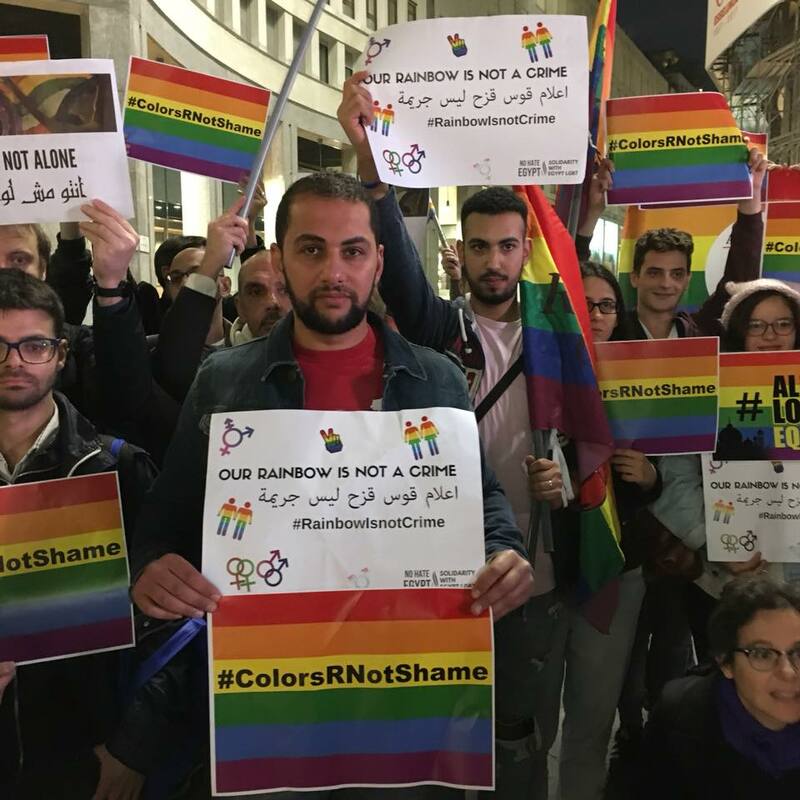 Since President Al Sisi has come to power, a total of approximately 300 LGBTQAI people have fallen victim to arrests, torture and attacks. These are numbers that cause great worry, as Egypt continually violates human rights.